You are here: Home / Hiring a Pet Sitter / What Is A Professional Pet Sitter? 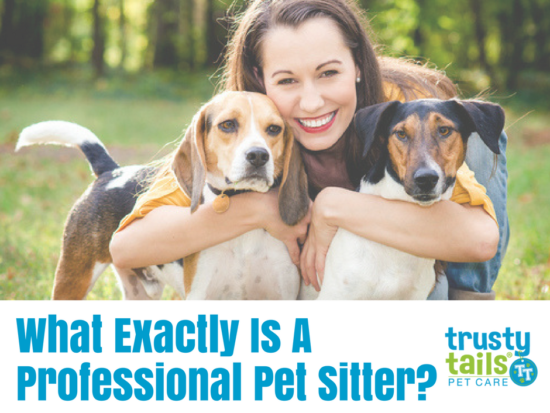 Today we’re going to discuss what exactly a professional pet sitter is in this day and age as well as what they do. Having an understanding of what professional pet sitters do allows for establishing their important role, as well as separating them from a pet boarder or dog walker. It’s no secret that there was once a time that “pet sitter” meant 13 year girl who lives on your street and takes care of your dogs while you’re away. But with innovations in business and technology, the term “pet sitter” has taken on a whole new meaning. The pet sitting industry in and of itself is worth upwards of 62.75 BILLION dollars, with 65% of U.S. households owning a pet. With numbers like those, it’s no wonder why companies dedicated exclusively to pet sitting are growing and thriving. In short, a professional pet sitter is a person that comes to your home while you’re away to take care of your pets. The length of time is usually up to the company – as some companies charge per length of time while others offer “untimed” visits in that they stay for as long as it takes to get the job done. Cleaning litter boxes and other pet waste. Light chores such as watering plants, getting the mail, and taking out trash. Providing lots of love and snuggles. It’s the overall goal of professional pet sitters to provide top quality care for your pets while they enjoy the comforts of home, as well as ensuring everything is okay with the client’s home itself. 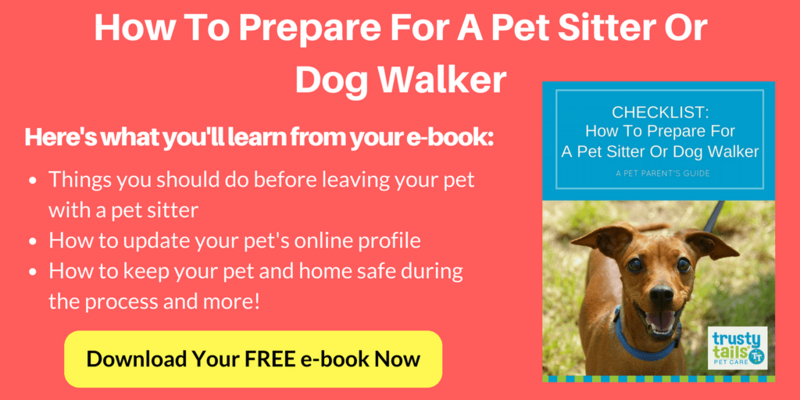 Will I Get To Meet My Pet Sitter Beforehand? Pet sitting companies want you to trust them and feel at ease while you’re away, so most of the time there is a complimentary consultation offered when you book. Why Should I Use A Professional Pet Sitter Over Other Pet Care Options? Pets experience reduced stress and are happier overall being at home than being somewhere else like a boarding facility or someone else’s home. Exercise, diet, and playtime routines are uninterrupted – most pet sitters can come over at or close to normal routine times, whereas boarding facilities may feed all the animals at once at a time of their choosing. Peace of mind knowing that a trained professional will be caring for your pet and watching over your home. Lastly, it’s important to note that while professional sitters are not only trained, they are bonded and insured through their company. This means if any emergency arises with your pet, you will be covered. While emergencies rarely happen, they can and most certainly do occur. Overall, the pet sitting industry is growing larger and larger everyday, and companies are constantly looking to improve their business and services as well as hire the best individuals they can find. By hiring a professional pet sitter you’ll have complete peace of mind knowing that a qualified person is taking care of your pet and home while you enjoy time away.